Leaves are falling and the temperatures are dropping and that can only mean one thing…It’s officially sweater weather! Changing seasons also mean it’s time for a wardrobe refresh. I love adding a few new pieces to my closet each season to freshen things up and to try out some of the latest trends! This fall, it’s all about sweaters! Nordstrom is ALWAYS my go to when it’s time for a wardrobe refresh! The Nordstrom Trend section is the first place I check for their amazing prices and great selection. I love finding the seasons best trends at prices that don’t break the bank. The best part about Nordstrom is also their free shipping and returns. 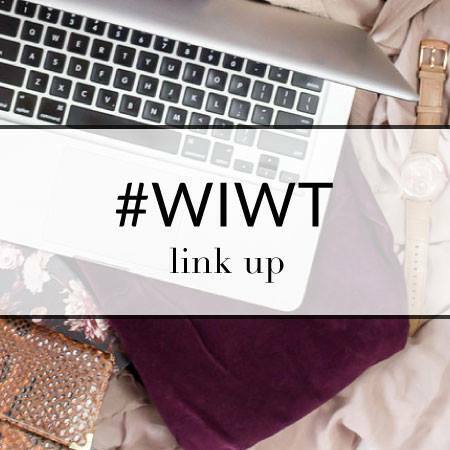 It’s a great way to try the latest trends and see what really works for you! 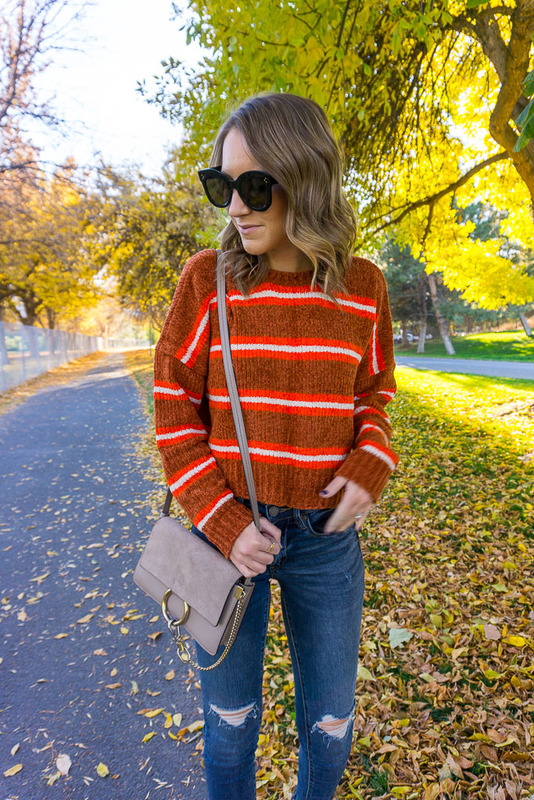 This season, I’ve discovered three sweater trends that I LOVE…mustard, stripes and brights. 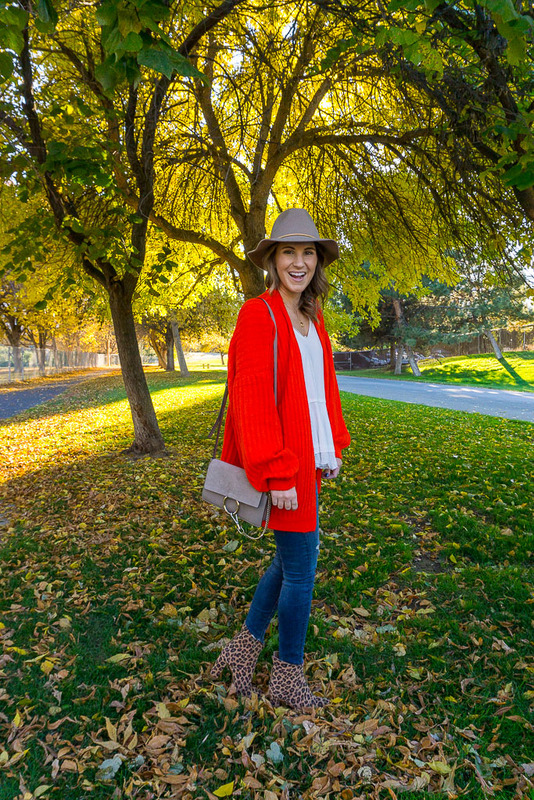 I’ve been drawn to sweaters that fit in these three categories and have loved incorporating them into my fall wardrobe rotation! 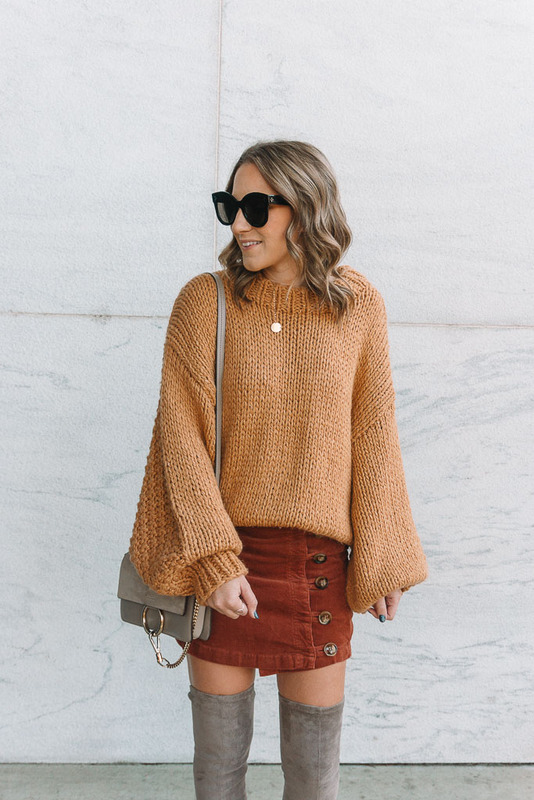 Check out three ways I style these trends and some of my favorite sweaters from Nordstrom below! I’ve been loving all things mustard lately. Actually any color in this family is my fave! 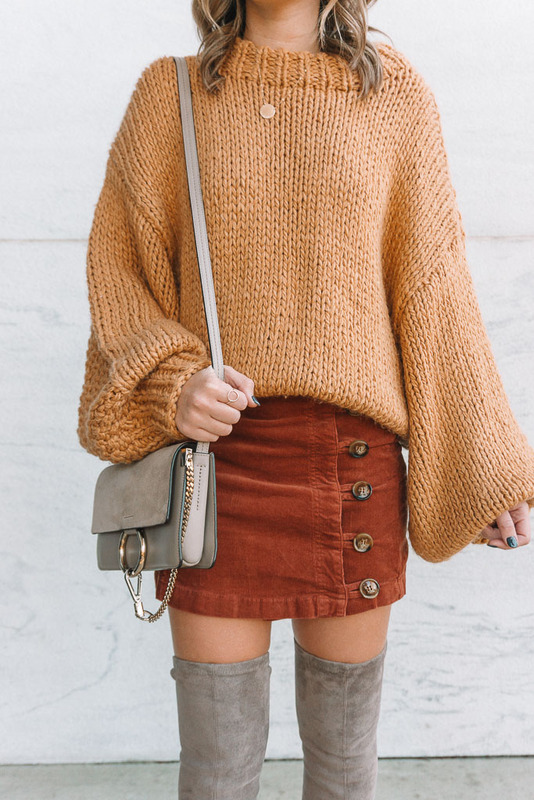 From cheery yellows to dreamy goldenrods, give me all the sweaters in this perfect fall shade. This cardigan is a gorgeous shade of mustard and goes perfectly with my favorite neutral pieces. It’s a chunkier knit too, which is perfect for adding a cozy layer when the fall temps drop. 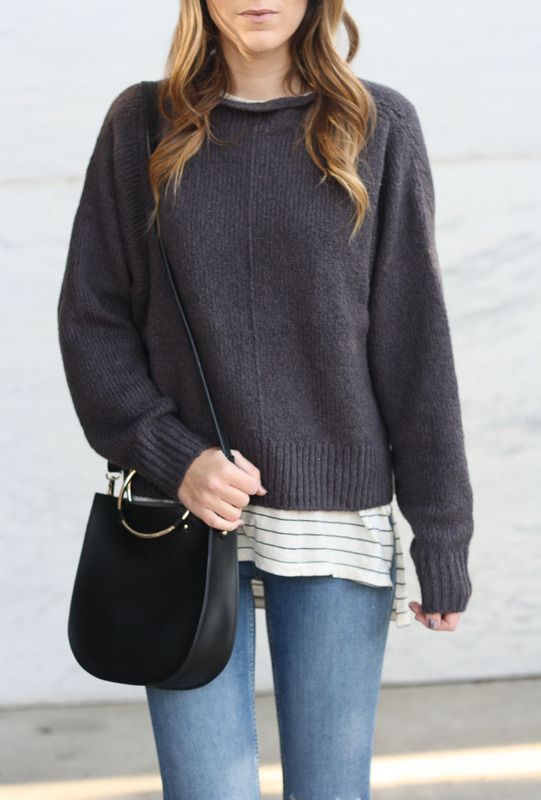 A great striped sweater never goes out of style, but it seems like stripes are currently taking over more than usual! There are so many great options out there and I am loving the varied color combos! I love the color combo of this crewneck option, but the best part is that it’s chenille, making it oh so cozy! 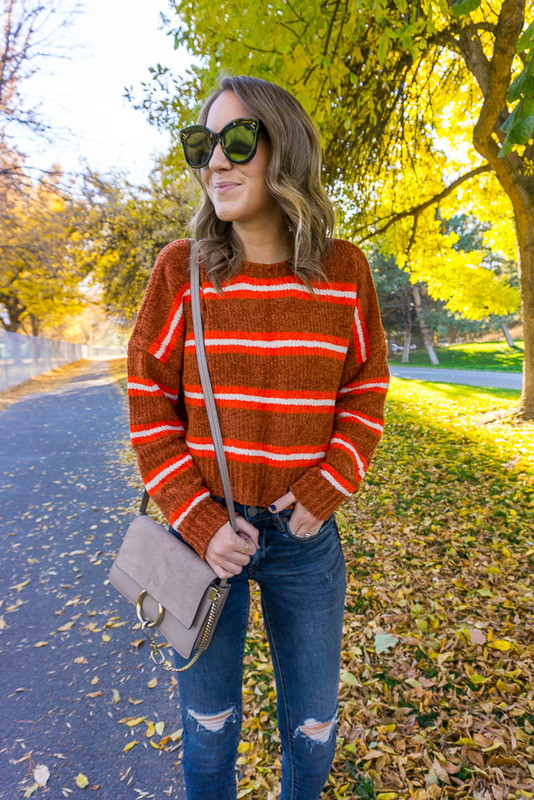 A bright sweater adds such a fun touch to any fall outfit! I love pairing mine neutral pieces to really make the outfit pop! This cardigan is the most gorgeous shade of red/orange and I LOVE it! It’s really soft too and I love the balloon sleeves! I’ve seen a few bloggers round up their most popular items for the month and have been meaning to put mine up for some time now! These are the top sellers from Twenties Girl Style for the month of October! I plan on going into detail about what this means in an upcoming post, but for now, check out what everyones been loving! This dress is a steal! It’s under $50, perfect for fall layering and now comes in 9 colors! I own it in two colors and have started pairing it with leggings, riding boots and a cardigan for work! See how I took it from work to the weekend here. I’ve raved about these mules SO many times! I own them in 2 colors and can’t tell you how comfortable they are! I wear them to work frequently and have no issues with sore feet after spending all day on them! Not only are they comfortable, but I own them in neutral colors so they go with everything! I LIVE in these distressed jeans! They are the most comfortable and I love the fit! They come in multiple washes and I wouldn’t mind adding all of them to my wardrobe! The colors in this scarf are fall perfection! It’s the perfect blanket scarf for the season and the best part? It’s only $26! Check out a few more ways I styled it here. Hands down the BEST over the knee boots (find out all about why I rave about them here). They come in 3 colors and the price can’t be beat for the quality! My favorite scarf from last year is back and in more colors! This scarf is a little pricey, but so worth it! It’s so soft and high quality and I love that this neutral shade goes with everything! This would make a great gift this holiday season! I own this cutie in two colors and love the ties on the bell sleeves! It’s a versatile piece that is easy to layer. See another way I styled it here. This sweater is amazing! It’s super comfortable and warm and I love the tunic length! I’m wearing an XS for that tunic look, but recommend sizing up if you want to wear this as a dress! It comes in a few color options and I’m obsessing over the pretty purple option! It’s no surprise these booties were one of the top sellers in October! They are super comfortable and easy to style AND under $100! They come in a few different options and are the perfect fall booties! The number 1 spot goes to the ultimate tee! I own this $19 tee in multiple colors and wear it SO frequently (see a few different ways in this post). This is a closet must! !